OK – you go to your doc or therapist. He/she gets a funny orange triangle thing (reflex hammer) and gently taps just below your knee. Instantly, you kick out your leg. You get a look of approval, and your doc moves onto to the next thing….. what just happened here? And what does this have to do with running surfaces I spoke of during my UROC video last week? 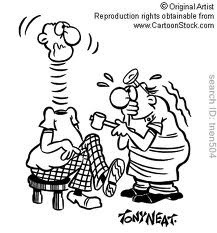 Your doc is testing your reflexes: an involuntary and nearly instantaneous movement in response to a stimulus. By nature, a reflex is not something you need to “think about” – it doesn’t require any processing in your brain. Basically, your body gets a signal (input), and it produces some type of response (output). So this very simple action of a tiny tap below your knee cap produces a contraction in your quad without your brain telling your quad to contract. Pretty useless right? Wrong. Reflexes allow us to look at your neuromuscular system. The term “Neuromuscular system” is basically a fancy word to explain something very simple: muscles can’t do anything unless your nerves tell them to. Testing your reflexes let us see if the nerves are transmitting the right signals throughout your body. We know the INPUT is good because we both saw someone whack your knee. What we hope to see is the “right” amount of muscle contraction or OUTPUT. Poor output, such as too little contraction (called “low tone” or hypotonic) or too much contraction (hypertonic) is a sign that the neuromuscular system has a glitch. Little glitches means the system is unstable and produces less than optimal muscle contraction. The reasons for these glitches are a bit outside this blog post! Fortunately, most people will fall into the “normal range.” Performance in this “normal range” is a sign that the nerves do a good job of relaying information throughout your body, and that your muscles produce the “right” amount of contraction. These “smooth” reflexes mean your body has developed a very refined or organized way of moving when its given an input. OK – why are we wasting your time with this little lesson? Gait is pretty much a reflex. Sure, you can make a conscious decision to walk or run backwards, or skip every third step if you want to. But for the most part, you don’t THINK about taking each and every step when walking and running. It happens sub-consciously at a fancy place in your nervous system called a “central pattern generator.” Over time you’ve learned to fine tune and coordinate this reflex. And spending time concentrating on your running form helps fine-tune this reflex pattern. Ever heard the term perfect practice makes perfect? Interestingly, when we sprain ligaments, we tear nerves. I explain all this much more in my book, but the key aspect is: torn nerves = less input. Less INPUT = poor muscle control or OUTPUT. What do we do? In therapy we work to improve the INPUT to our body by doing lots of proprioception and balance training so we can get a better OUTPUT. You learn to refine your control, and develop alternate strategies to control your body. Do these gains translate over to running? Yes they do. You can improve your stability after an injury. But you know translates really well to running? Running….on different surfaces! If you always give the exact same input, you’ll always get the exact same output. If you always run on a treadmill, at the exact same speed, and you never get tired, this strategy works pretty well. Except that isn’t the real world. Your body needs to know HOW to respond when you get a different INPUT. You run up hill, down hill, get tired, change your body weight from day to day, and encounter different surfaces. All these slight differences require slight changes in your technique. Research shows similar trends for both walking and running gait. When things are always the same, you are more likely to get an injury. When things are out of control you are also more likely to get an injury. But people who have a range of comfortable walking and running patterns have multiple strategies to tap into. So what’s the take home message here? If you give your body the same INPUT every time, you’ll always get the same response. If you expose your body to different surfaces, you learn to refine your reflexes to produce good quality muscle control on multiple surfaces, and improve control on your typical surface. The trail runners reading this already know, and can FEEL, these differences. However those of you who are stuck on the ribbon of asphault, its time to mix it up. Train on concrete. Train on asphault. And grass. And trail. And uphill. And if it feels weird, its sign that you need to do a bit more of it. Not all at once, maybe just a little bit in small doses. If you can’t take a 4 mile trail home, then maybe run the gravel alley. Jump onto the median and run in the grass for a bit. Exposure to varied surfaces can help you develop as a better runner. Better muscles control = better runners. This entry was posted in rehab, running, Uncategorized and tagged Anatomy for Runners, barefoot running, Dicharry, gait analysis, running form, Running injury barefoot minimalist on October 1, 2012 by an athlete's body.